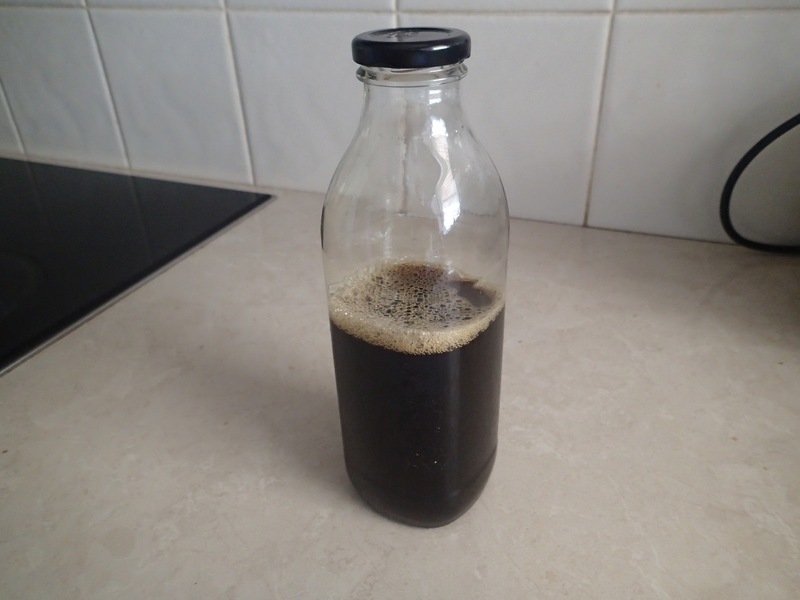 And so it was decided that it was time we started making cold brew coffee again, because it’s deliciously tasty. It’s great for taking to work too – especially when one has spent the last week and a half taking a pre primary class to swimming lessons everyday. 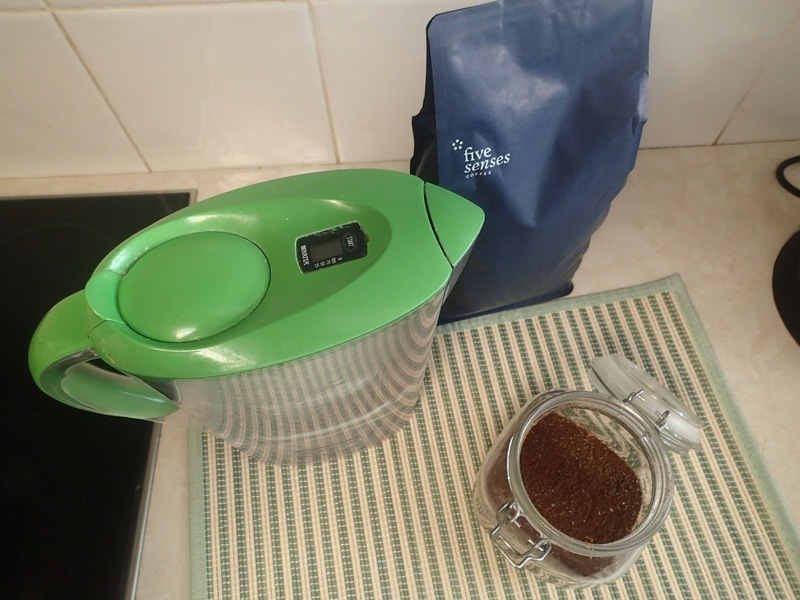 The first step in making cold brew is grinding the coffee. Lots of it. We use Five Senses coffee. We’ve been drinking their coffee for years. 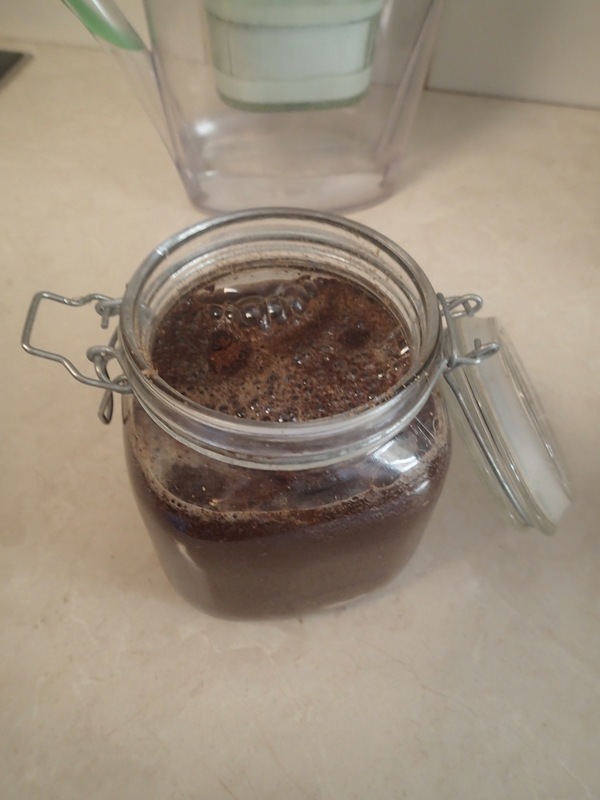 The coffee goes in a sealable jar. 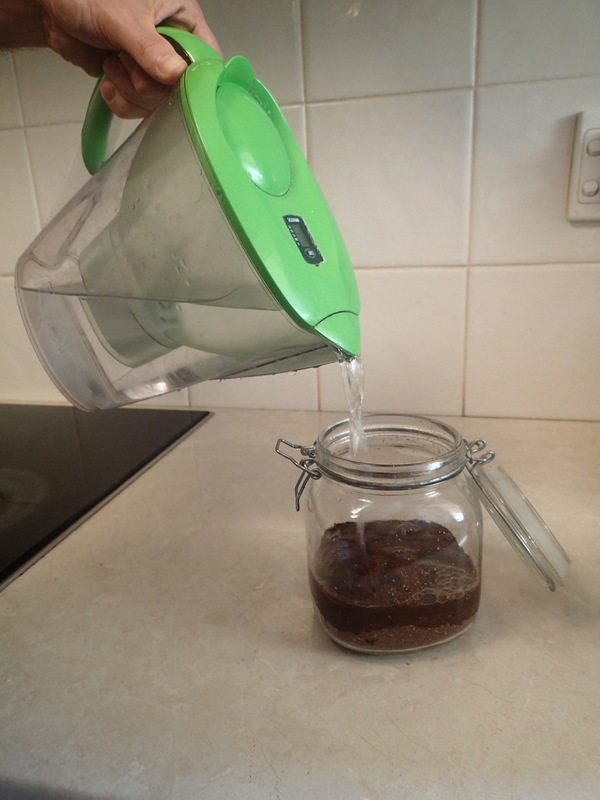 Then the jar is filled with water. The best quality water you have on hand. We use our Brita filter water which is fine. I wouldn’t recommend water straight from the tap unless you have particularly good tasting tap water. The ratio we use is 1 part coffee to 8 parts water. Then the jar gets sealed, and shaken around a bit, before being left in the fridge for around 18-24 hours. 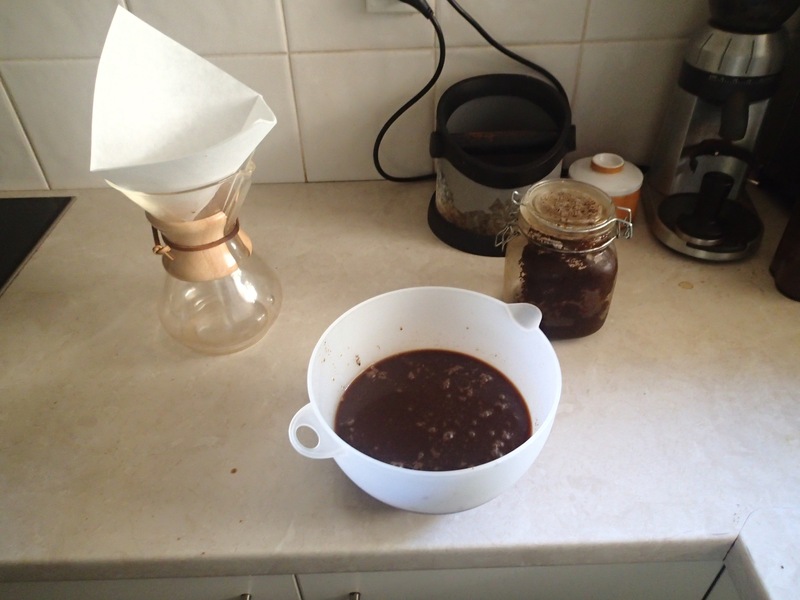 Then the filtering process. 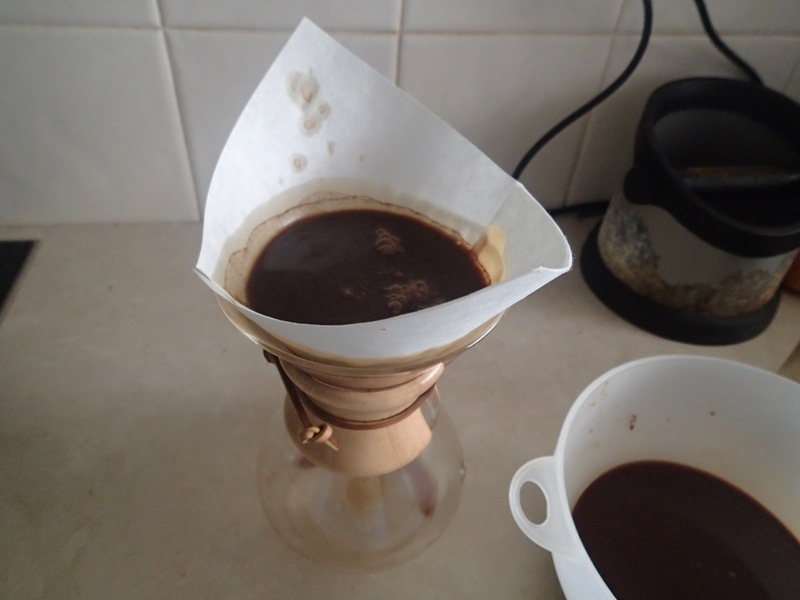 We have a Chemex coffee filter which is ideal, but any kind of coffee filter would do. 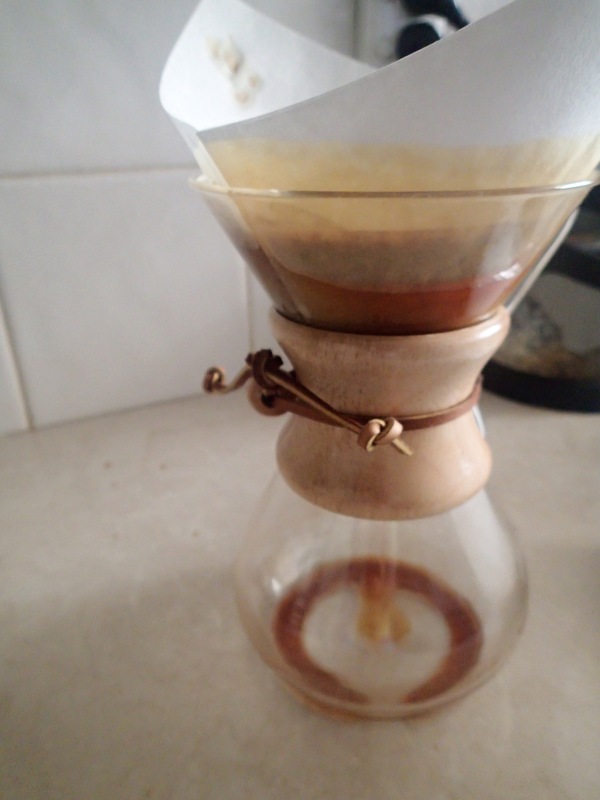 It takes a while for the coffee to filter through, but the end result is well worth the wait. Then it’s just a matter of pouring it into a bottle, then storing it in the fridge and enjoying its deliciousness at your leisure. It’s quite concentrated, so a little goes a long way. Personally, I use about an inch or so of coffee in a glass and top it up with cold milk. If you prefer a no milk variety, just top it up with cold water. Amazing.